Seaweed, caviar, buttermilk, strawberries, bee pollen, all of these seemingly strange skin care ingredients have come to the forefront of one or more of Mario Badescu’s products. The brand has consistently created new and innovative products geared towards specific skin types for over 40 years and continues to offer some of the most sought after skincare ingredients. Their formulas are simple, yet effective. Like the company’s entire philosophy, the products within the seaweed line, as well as others, rely solely on the efficacy of the ingredients present in order to create transformative results. Within the seaweed range from Mario Badescu, there are three main products which include a cleanser, toner and night cream. The result is a three step skin care routine that effectively cleanses your skin without stripping, while also giving some additional mineral and antioxidant benefits. As probably the most well known product in the range, the Mario Badescu Seaweed Night Cream is a perfect all-around moisturizer. It hydrates without leaving behind any greasy or sticky residue, thanks to the oil-free formula. Despite the name, this night cream is actually a lightweight gel that glides onto the skin and sinks in quickly. Additionally, this product also contains collagen and elastin, making it especially suited for those with mature skin or skin tone issues that they’d like to address. Moving onto their cleanser, the Mario Badescu Seaweed Cleansing Soap is a non-stripping cleanser. Despite the connotation, this ‘soap’ is actually very gentle, and especially suited for dry and combination skin type. While this formula is gentle, it also offers just a touch of mechanical exfoliation. Small seaweed grains offer a natural exfoliating treatment that buffs away dead skin cells, making this a great two in one product. And finally, the Mario Badescu Cleansing Lotion is a great option for a multi-functional toner. The Bladderwrack extract and aloe vera serve as hydrators, while witch hazel gentle cleanses the skin of impurities. Unlike some astringent toners, this cleansing lotion won’t overdry the area. As a general note for those with oily skin, this is the only product in the seaweed line that is indicated as being most effective for combination, dry and sensitive skin types, since it is more of a hydrating toner. The star ingredient behind this three step system is bladderwrack extract, also known as brown seaweed. Taken orally, this nutrient rich ingredient has been shown to improve digestive issues and thyroid disorders. Applied topically, this extract has been revered for its ability to soothe multiple skin concerns, including dry patches, rashes and itchiness. Furthermore, bladderwrack extract has a whole host of additional benefits for all skin types. For example, oily, acne prone skin types can look forward to several anti-bacterial and anti-inflammatory properties including redness reduction, blemish prevention, pore detoxification, calming hydration. Additionally, dry and mature skin types can take advantage of bladderwrack extracts more anti-aging properties, which include improve elasticity, more even skin tone, better skin texture and overall firmness. Looking at all of the benefits that seaweed can have on the skin, it’s no surprise why this range is so well-reviewed. 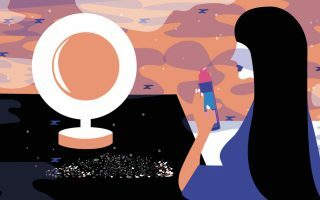 On Ulta’s website, they currently have a 4.5 out of 5 rating on all three of the products available, with hundreds of reviews for each. Some of the most common effects that reviews noticed were quick absorption, intense moisturization, lasting power and smooth application. 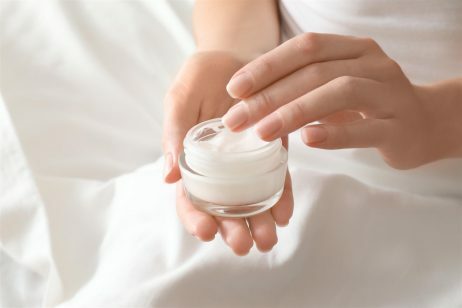 While there aren’t many negative reviews to see with these products, there were a few individuals with oilier skin that felt that this moisturizer was too heavy for them to use. So if you do have a very oily skin type, you may want to keep that in mind. But, if you’re looking for an easy, three step routine without any fuss and frills, this could be a great place to start. We love seeing brands that bring innovative ingredients into the mainstream discussion. Have you tried any products from this range? We’d love to hear your thoughts in the comments below! This product has changed my skin dramatically my skin tone was uneven and my skin was very oily and dry and I had lots of blemishs , started using this a week ago , and my skin has never looked better I’m also getting a lot of compliments asking what am I doing to my skin so I recommended to family and friends that’s it’s the seaweed night cream that gave my skin so flawless , I can’t say enough great things about this product! !